About three days before I was leaving Hawaii to visit friends in San Diego I received a message from Anthony. 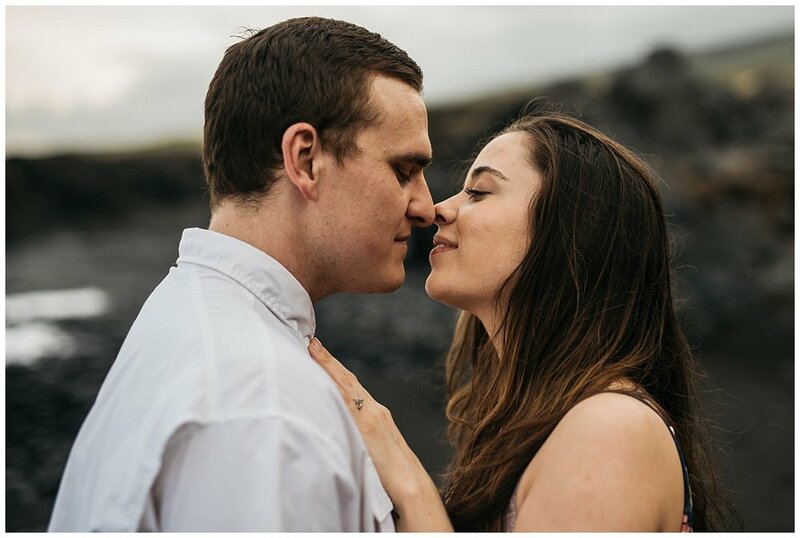 He mentioned that he and his fiance would be on the island for a few days and he would love to have some engagement photos taken. I told them I knew just the spot! Earlier in the week, I spent some time at this beach. It was very quiet and pretty much hidden from the road. It wasn't hard to get to though! Actually getting to meet Anthony and Kris was a little sketchy I might add. We both agreed to meet halfway from our lodging to a general store in Kaupo. The biggest problem was that neither of us had cell service in that area. On top of that, the roads leading to that space were probably the bumpiest and beat up roads I've ever been on. I was definitely afraid for my rental car's suspension.